Every year 16.000 Norwegians are stricken with stroke, and more than 60.000 have previously had one or more strokes. It is therefore important that the foremost Norwegian experts in the field gather in order and be updated on what is new within preventive, acute treatment and rehabilitation from stroke. David Russell from the Department of Neurology at the Division of Surgery and Clinical Neuroscience at Oslo University Hospital welcomes participants to the 6th national conference on stroke - "den 6. 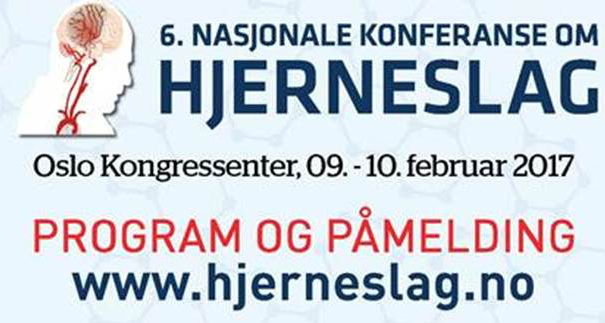 Nasjonale konferanse om Hjerneslag".